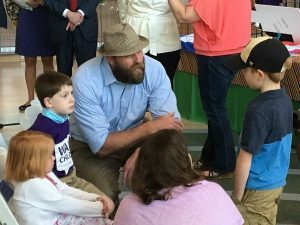 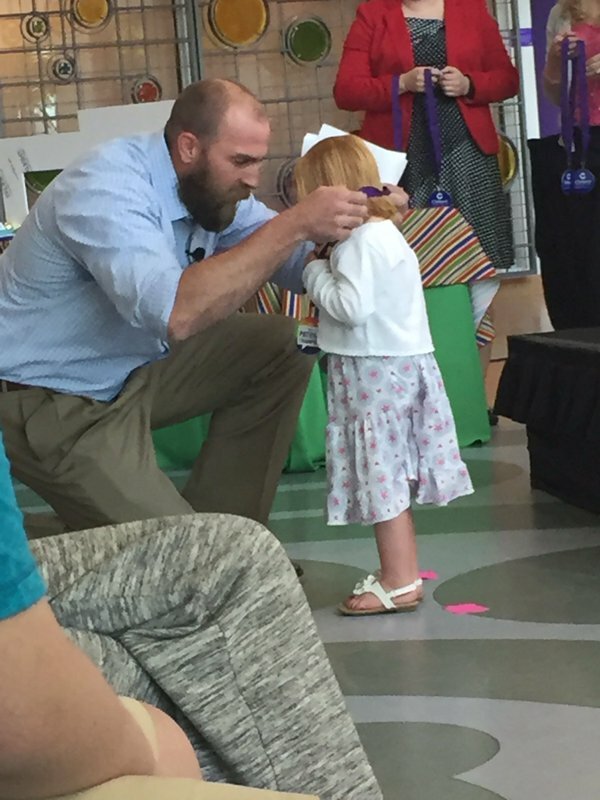 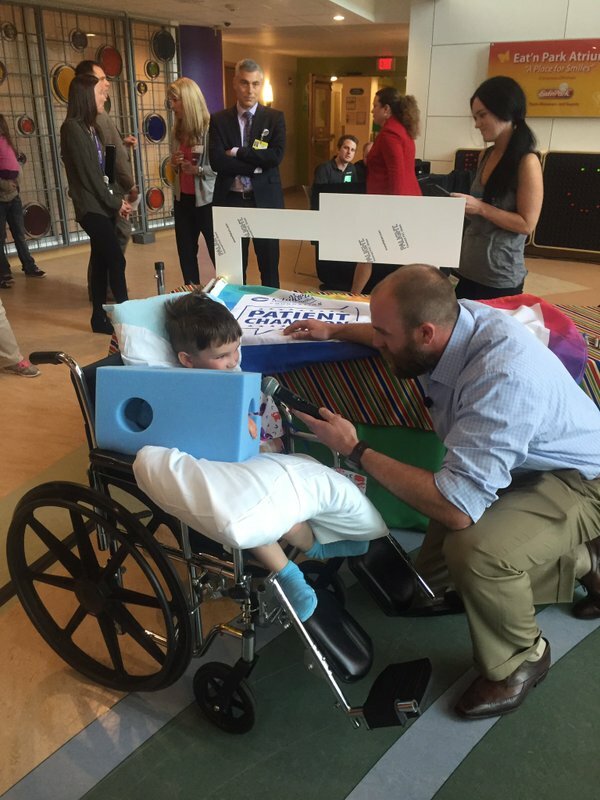 Children’s Hospital held a very special ceremony today to honor their champions. 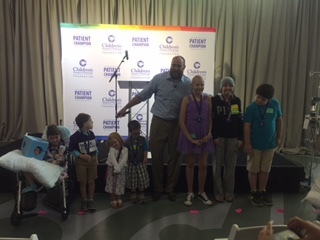 The patient champion medal ceremony celebrates Children’s patients, both inpatient and outpatient, and the upcoming Walk for Children’s event on Saturday, June 4. Brett was honored to be on hand to help pass out the medals to the champions. At the event, patients received a special medal, and had an opportunity to sign a flag that will be carried by a patient champion at the walk. Please click the link above to learn more about the Walk for Children’s and to donate to the event. Don’t forget to check out information on the Walk for Children’s event on Saturday, June 4!